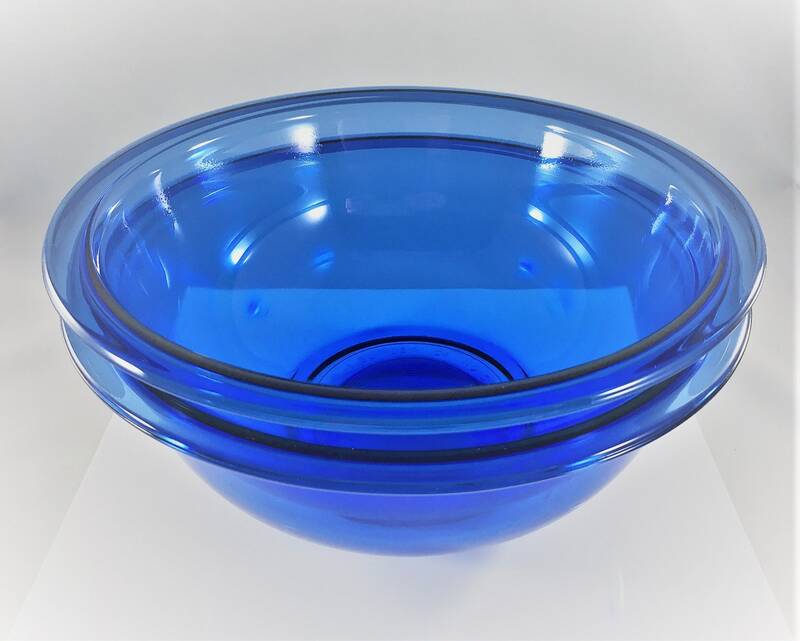 Featured is a beautiful pair of Pyrex Mixing Bowls. 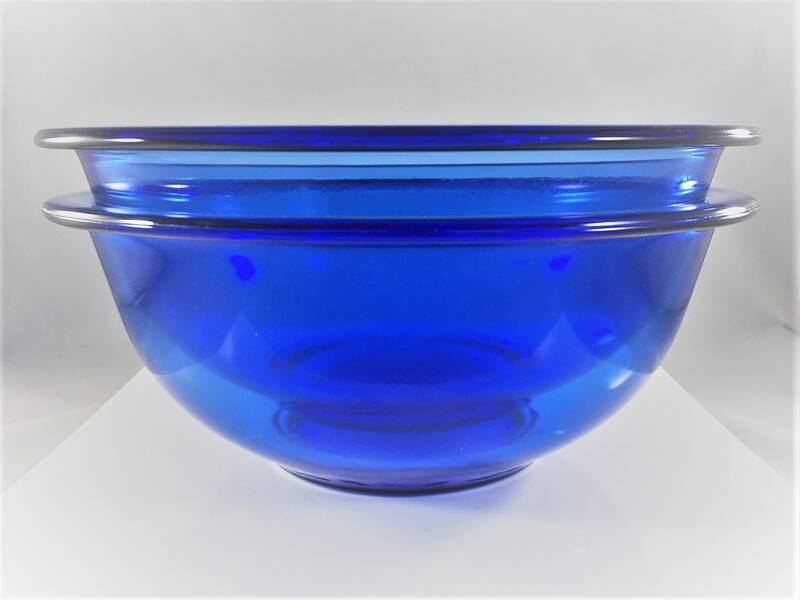 These Cobalt Blue pieces are both 1.5 Liter bowls (Number 323) and they are in excellent vintage condition. They are free from any chips or cracks. They measure about 8 1/2 inches in diameter and are about 3 1/4 inches deep. They are stackable as seen in the photos. 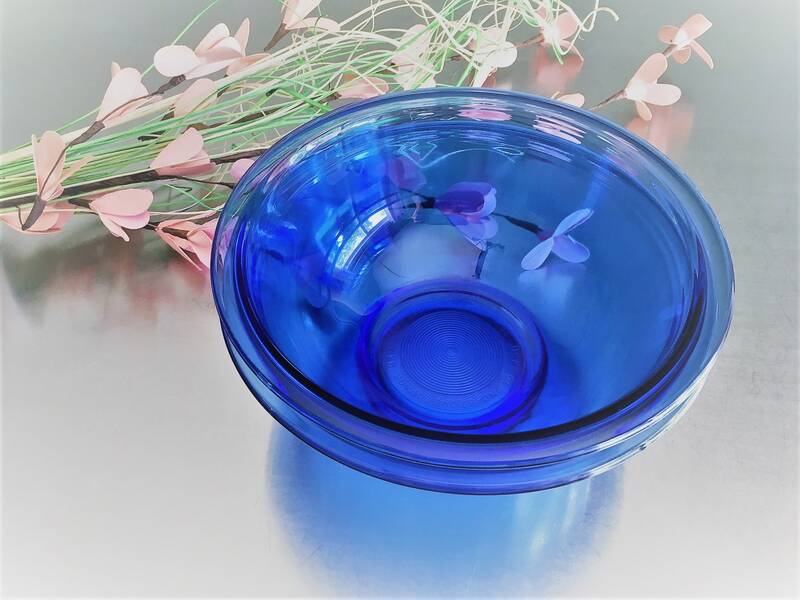 Both bowls are offered here for one low price. 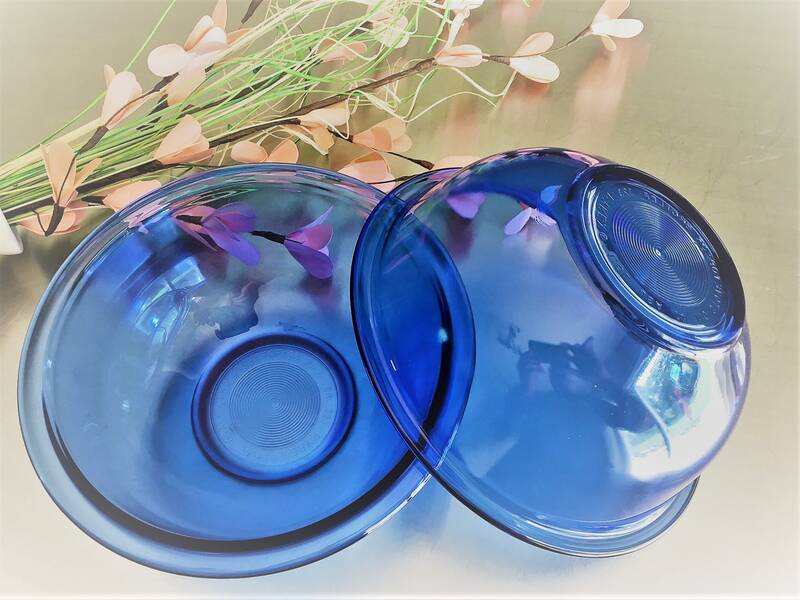 Very Nice Bowls. Shipped and packed carefully and arrived in perfect condition.